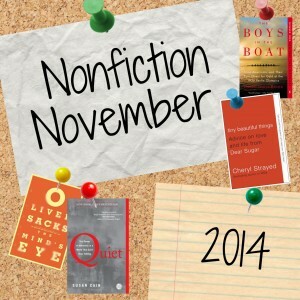 Our first Nonfiction November has been great! We got some great comments on our posts about nonfiction read this year, a modern American history reading list, and diversity in nonfiction . 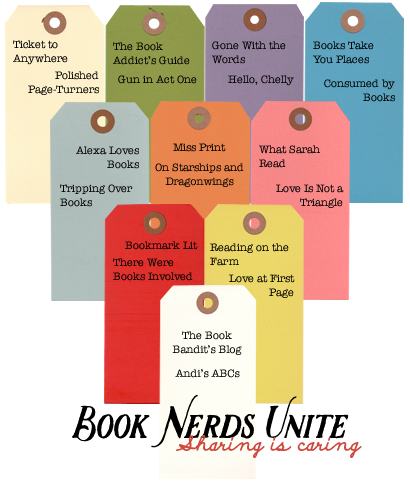 And, we discovered more bloggers with great taste in nonfiction of all varieties! 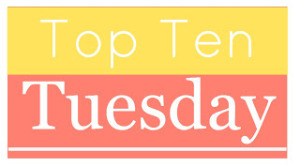 This week we’re sharing a few of the books that we heard about this week that we can’t wait to read! I loved this post about jumping into nonfiction by Trish. After reading it, I immediately looked up The Lost City of Z and The Professor and The Madman. So many great recommendations in that post! Before the national highway system brought the country closer together; before chain restaurants imposed uniformity and low quality; and before the Frigidaire meant frozen food in mass quantities, the nation’s food was seasonal, regional, and traditional. It helped form the distinct character, attitudes, and customs of those who ate it. In the 1930s, with the country gripped by the Great Depression and millions of Americans struggling to get by, FDR created the Federal Writers’ Project under the New Deal as a make-work program for artists and authors. A number of writers, including Zora Neale Hurston, Eudora Welty, and Nelson Algren, were dispatched all across America to chronicle the eating habits, traditions, and struggles of local people. The project, called “America Eats,” was abandoned in the early 1940s because of the World War and never completed. The Food of a Younger Land unearths this forgotten literary and historical treasure and brings it to exuberant life. Finally, I need to read everything on this list about reproductive rights. In fact, I think everyone needs to read more on this topic! I can’t remember where I picked this suggestion up, but I feel like I saw it recommended a lot! The Empathy Exams. Sounds fascinating. Far From the Tree: Children, Parents and the Search for Identity -Recommended by the lovely Paperback Princess. This sounds really interesting! Shackleton’s journey is one I always want to read about and thanks to My Book Strings I added Endurance: Shackleton’s Incredible Voyage to my list. And she also led me to: Desperate Passage: The Donner Party’s Perilous Journey West by Ethan Rarick. The cafeteria in my college student center was named after one of the Donner Party so I feel compelled to learn the story. Last, this is one I learned about from Edelweiss and I am so excited I just got the ARC Headstrong: 52 Women Who Changed Science and the World. I love books about amazing women! 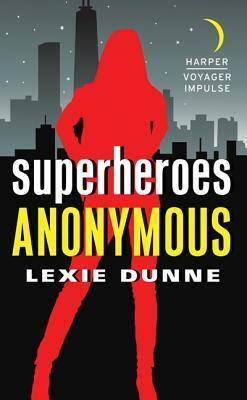 Goodreads is giving copies away now too so go check it out! What books did you add to your nonfiction list? Maybe we need more suggestions? Housekeeping by Marilynne Robinson – this has been on my radar since it was mentioned on Literary Disco, and then it was a Kindle deal. Done and done. A Bollywood Affair by Sonali Dev. Does anyone love the movie Monsoon Wedding as much as Amanda and I? Amanda and I will be reading this together soon! It Was Me All Along by Andie Mitchell – If you’ve never visited the blog CanYouStayForDinner, go. And then you’ll want to read this too! Also, tomorrow we’re posting a Nonfiction TBR post for #Novficnov, so apparently I will have a lot of reading to do this winter. I’m apparently kind of a failure at my Fall reading list. I only read 2 of 5! Oops. Those other 3 are definitely still on my list. I admit with Dreams of Gods and Monsters I’m kind of afraid to start it. I’m afraid its going to hurt my heart-and hurt my back to carry because that sucker is huge! Here are 5 more books I cannot wait to read! A Bollywood Affair- See above. Along with Monsoon Wedding may I also recommend Bride and Prejudice for a fun Bollywood movie! Princess of Thorns, by Stacey Jay. I love fairy tale retellings and I’ve heard good things so far about this Sleeping Beauty. As Chimney Sweepers Come to Dust, Flavia de Luce #7 by Alan Bradley. I love Flavia! If you like mysteries you should totally start this series. A String of Beads, Jane Whitefield #8 by Thomas Perry. 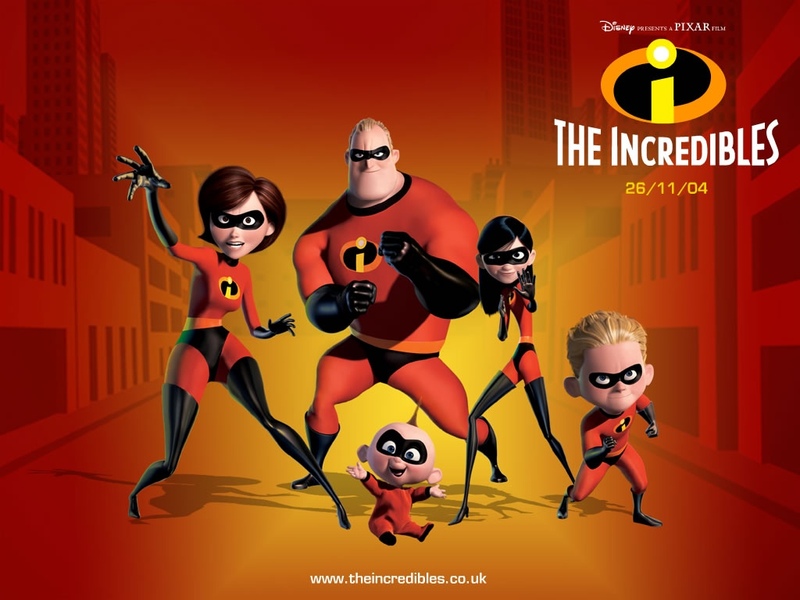 Another amazing series. Jane Whitefield helps people who need to disappear. She is awesome! This is unlike any other series I can think of. They’re kind of haunting. The Miniaturist by Jessie Burton. This has been on my list so I’m really glad it is my January book club book! I’ll admit that I am still not positive I understand steampunk as a genre, but I am sure I’m enjoying this series. As I tried to figure out what drives the steampunk culture I found Gail Carriger’s website which has a lot of information in general and from the author’s perspective. I reviewed books 1 and 2 of the Finishing School series here and I quickly dove into the third. Sophronia is now 16 and thinking seriously about life when she is “finished.” Will she work for the Queen? Perhaps one of the vampire hives out of London if she can do so without giving blood? Or will she have to find a sponsor to keep her in in weapons and intrigue? Will she marry? 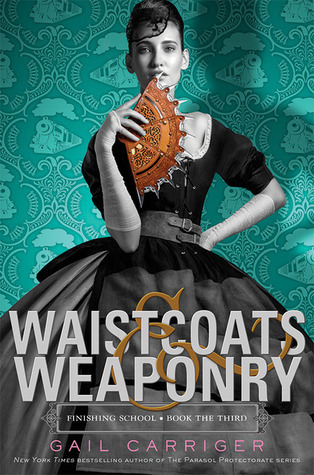 After reading books 1 & 2, I was looking forward to a new plot path in Waistcoats & Weaponry. I wanted some action that wasn’t those silly Picklemen! The Pickleman thus far have been the villians of Sophronia’s tale. These men are pro-machinery with things like mechanimals and more flying airships, and don’t want to involve themselves with the supernaturals. So far Sophronia finds vampires and werewolves quite pleasant, but does not want to pick a side. Things certainly changed when the girls found an empty train and climbed aboard to help a friend find her way home- no damsels waiting to be rescued in this series! Sophronia has grown up quite a bit but her quick wit and sense of adventure is the same. Also, her new weapon of choice is a bladed fan-how can you not love a girl that wants to protect herself with that? As for the romance, I enjoyed Sophronia’s comparing her love interests without this becoming a love triangle. The questions of marriage bothered me a bit in Curtsies and Conspiracies, but they seemed much more appropriate in here. Yes, Sophronia and her friends are 16, but that was not inappropriate for the Victorian period I don’t think. I am really interested to see where her heart leads her in #4, Manners and Mutiny, because the ending here really shocked me! This was a strong follow-up to Curtsies and Conspiracies and a fun read on its own. My only complaint is that it could have been longer! I’m still curious about the werewolf packs and how they’d fit into the rest of Society. Bring on Book 4! On a last note our giveaway is still open! Details and signup here. This is a common reaction in my life – reading novels piques an interest in reading something else, visiting a historic site makes me want to read about that place, and so on. Books are generally my first resort (okay, Google is my first first resort when I need to know something, but I am often inclined to search for a book next). Here’s a few examples of what I’m calling the diversity in my non-fiction reading pile (and to-be-read pile). You don’t always read about isolated dictatorships while reading Young Adult Fantasy, but that’s exactly what happened when I read Silvern by Christina Farley. The author manages to sneak in some really interesting tidbits about North Korea, which left me wanting to know more. Thankfully, shortly after that, I read this post by Kim at Sophisticated Dorkiness which gave me two books on North Korea to look into: Without You, There is No Us and Nothing to Envy. I’ve seen these two recommended and discussed on other Nonfiction November posts too! Sometimes, watching TV is a completely mindless activity (See: everytime J is working late and I turn on TLC). Other times, I learn just a little bit about something, and I need to know more. Case in point: The Borgias. 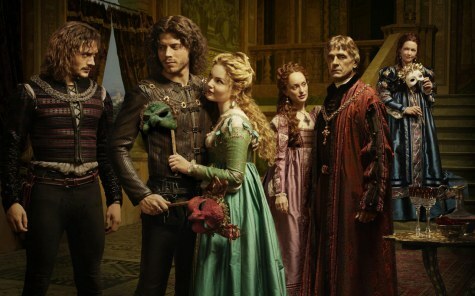 I am not sure that I loved this show, but I was definitely intrigued – and watching The Borgias led to some more nonfiction on my TBR pile: Lucrezia Borgia: Life, Love, and Death in Renaissance Italy (recommended by my sister!) and The Borgias: The Hidden History. When I visited Monticello, we had the world’s worst tour guide leading us through Thomas Jefferson’s house. Thankfully, we had an amazing tour guide for an outdoor tour of Mulberry Row, where many of Jefferson’s slaves lived and worked. After that visit, I read Master of the Mountain, which was both informative and frustrating in equal measures. Between contemporary North Korea; Renaissance Italy, and Antebellum Virginia, I guess I’m looking at “Diversity in Nonfiction” in the broadest possible way – reading about experiences that are different than mine. I’d be hard pressed to find a nonfiction book on my shelves (physical or virtual) that doesn’t fall into this umbrella. Nonfiction books, at least the narrative-type nonfiction books that I’m interested in reading, tell the stories of people or places or events, and that’s pretty much guaranteed to include “different” kinds of people. I think when writing in a fictional world, it can be easier to leave out whole swaths of people, versus telling what actually happened. After all, as much as America may have tried this for years, we can’t actually talk about Thomas Jefferson without talking about the distinctions between his words and his actions, his Declarations of Independence and the people he refused to set free. Reading fiction can play an amazing role in opening up our eyes to new ideas (see my thoughts on diversity in fiction here) but reading (good) nonfiction will give you a whole new level of credibility when you want to talk about (or better yet, act upon) those ideas. /end #nonficnov – On another note, Amanda and I are giving away one of our fave reads of 2014, The Cuckoo’s Calling! Details and signup here. Holly: Amanda sent me this TTT topic, and I was pretty sure that I couldn’t think of any. After all, I am hardly ever up on what’s hip and trendy and I’m usually pretty content to pick up books I meant to read a decade ago, rather than thinking ahead to books that haven’t even come out out. But then I thought for about 5 minutes and came up with 5. Much easier than I thought – I blame Amanda’s influence for my reading more recent books! The next Comoran Strike book – Amanda and I loved the first two books that J.K. Rowling has written as her alter-ego Robert Galbraith. And there are more in the works! The last book in the “Secret History of the Pink Carnation” series – okay, I still need to read #4-11, but #12 is coming out in 2015. I will be ready! Brazen – I really enjoyed Gilded and Silvern, about a Korean-American teen who moves to Seoul with her father – and then discovers she has super-powers in the spirit world. #3 was just announced, though it was kind of a given at the end of #2! Diana Peterfreund’s Stars Series – I loved For Darkness Shows the Stars and Across a Star Swept Sea. And, I have no idea if she’s writing any more books set in this post apocalyptic future, but I hope so. Incryptid #4-Pocket Apocalypse – More Price family? Yes please! I need to preorder this asap! I want my own colony of talking mice-ok they talk a lot so maybe just to borrow. Basically I need everythign Seanan McGuire is writing immediately. Invasion of the Tearling. Reviews of the Queen of the Tearling were all over the place. I gave it 4.5 stars here. I want more history of the Tearling and more Kelsea! The Ruby Circle. I kind of feel like my VA and Bloodlines love is a dirty secret, but I don’t care. I just want to see Sydney and Adrian happy together and also please more Rose and Dimitri. Really just Dimitri. Please and thank you. Strike #3. More Strike and Robin now! Thursday Next #8 –Dark Reading Matter. Some day. I hope. PLEASE. Jasper Fforde doesn’t even have a date on his website for this one. I’ll just long for the day it comes out. I’ll keep rereading 1-7 for now and wishing for my own book jumping abilities.